It was … good. I mean, to be honest, I find it hard to pick a word to describe the four hours I spent in the former gym in the Holy Angels building, with forty or so other people. I was going to use “interesting” first, and then “powerful,” and those are true, but those words each only describe just a part of the gathering. Because, I mean, it was about climate change, which, by the way, is quite real and happening, and is absolutely terrifying. (Or maybe that’s just me that feels that way? No?) But it was also a gathering of forty or so people ranging in age from two months old to eighty-something. There was food, we laughed and talked, and we shared news and stories. All of that stuff is wonderful and life-affirming. So the forum was two things at once. Happy, and sad. Solutions (community), but also problems, so big as to seem insurmountable. I came away from the Forum on Sunday feeling re-committed to reality, instead of denial. Not that I’ve been outright denying that climate change exists, but it is a lot easier on my head and heart to ignore it as best as I can, and that’s a kind of denial too. To go about my day, driving places, buying stuff, as though it’s all fine and good, as though we’re not on the brink of catastrophic changes to weather and world. I’ll keep you all posted on how it goes! And as always, I’d love to hear your thoughts. 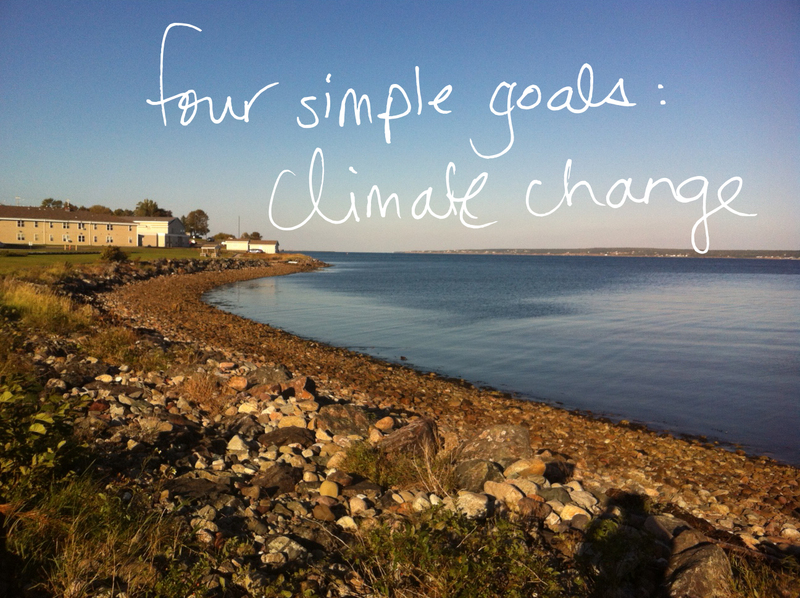 This entry was posted in Community, Environment, Leah's thoughts, Motivation and tagged Cape Breton, Climate change, Four Simple Goals. Bookmark the permalink.